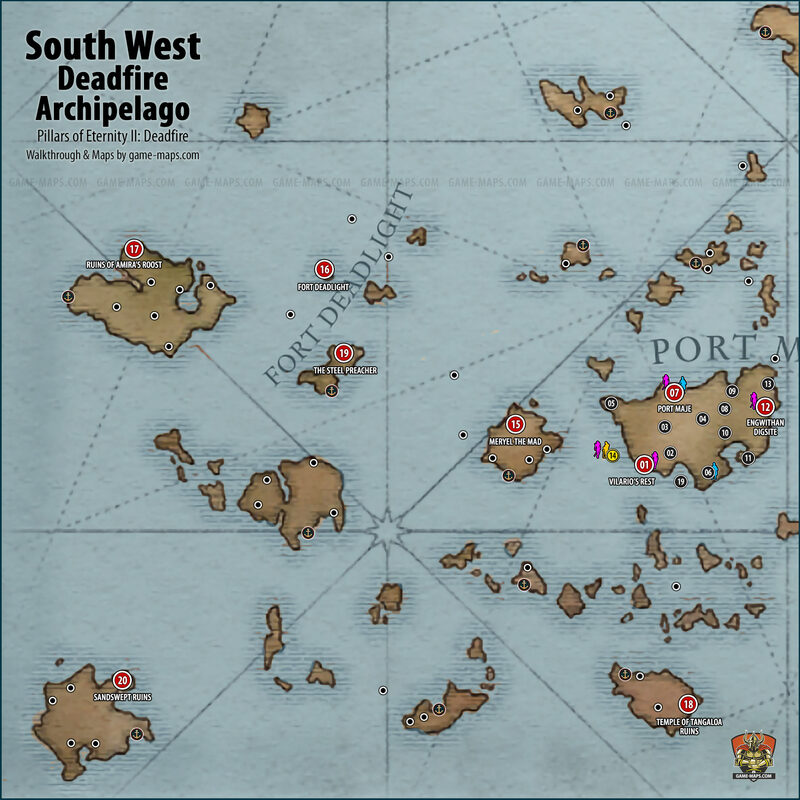 Map and Walkthrough for South WEstern Region of Deadfire Archipelago for Pillars of Eternity II: Deadfire. 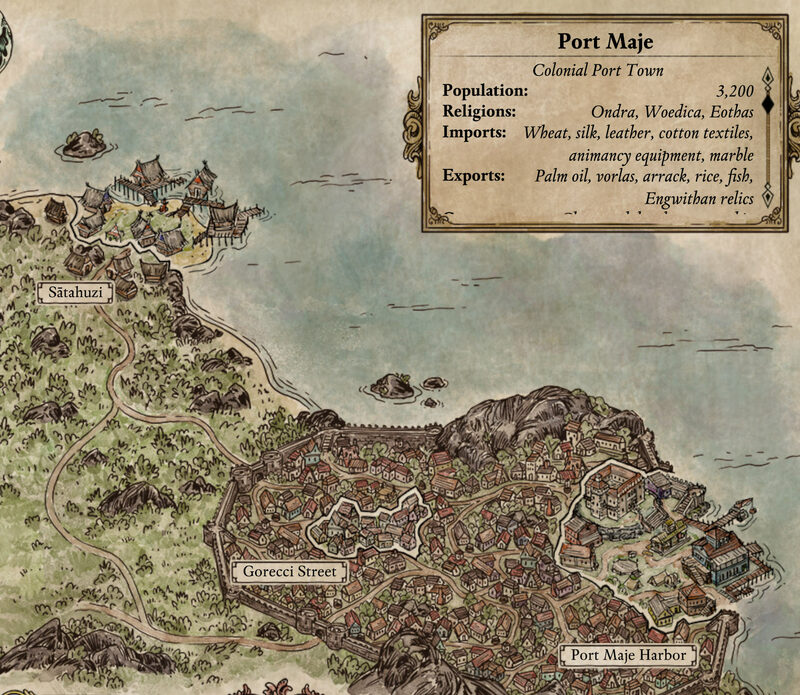 Port Maje, Vilario's Rest, Meryel the Mad, Fort Deadlight, Ruins of Amira's Roost, Temple of Tangaloa Ruins, The Steel Preacher, Sandswept Ruins. In the distance, you see a simple wagon. The angle at which it rests on the road, one side jutting above the other, suggests that it has been damaged or disabled. Even from your vantage you can make out kith milling around it. You come upon an ancient site once used for sky burials. On a large stone slab is a scattering of old kith bones and a collection of urns of various sizes. Search this location till dialogue options ends. Thick woodlands spread to the east of Port Maje, slowing your travel. Birds flitter above you and insects drone incessantly. The path eventually gives way to a game trail, then to no path at all.